Whether you’re looking to have fun under the sun or in the snow, Lake Tahoe is a gorgeous year-round vacation resort that offers a profusion of things to do regardless of the season. Winter or summer, spring or fall, Tahoe is host to boundless exuberant activities, making it a genuine haven of fun for those in search of a pleasurable weekend getaway. Tourists from around the globe are drawn to the glittering city of Lake Tahoe because of its assortment of engaging perennial attractions and abounding natural beauty. The town borders California and Nevada in the northern part of the two states and rests at an altitude of 6,200 feet amidst the grand Sierra Nevada Mountain Range. Lake Tahoe is home to the world-class Heavenly Mountain Ski Resort and Edgewood Tahoe, a top rated golf course that annually hosts the American Century Celebrity Golf Championship. Sightseeing is a chief attraction for visitors who come to Tahoe, and visitation to renowned Emerald Bay is typically at the top of the list. The bay is one of the most photographed places in the world. The nearby mansion, Vikingsholm, is another sightseer’s delight. It displays a fine example of Scandinavian architecture and is available for tours in summer months. 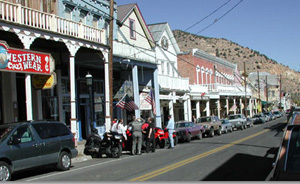 For the “Old West” history enthusiast, a short distance away in the neighboring Virginia Range lies the historic ghost town of Virginia City. If visiting points of interest is an elemental priority, you won’t want to pass this up. If hiking is your forte, trails exist nearly everywhere around the lake. Similarly, in winter months, there are plenty of snow skiing facilities readily accessible. More than a dozen are in operation on the north, south, and west shore for mountain fun. 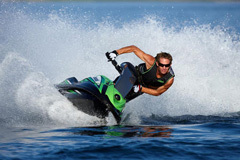 Boating, jet skiing, picnicking, sunbathing, shopping, casino gaming, parasailing, gourmet dining, and scores more of other activities are all at your fingertips. One adventure you won’t want to miss is the riverboat excursion. Tahoe harbors two paddlewheel riverboats that are a big attraction and a lot of fun for visitors. 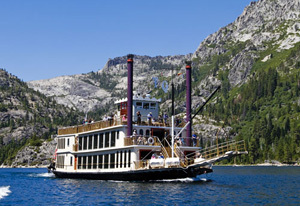 The Tahoe Queen – the lake’s only bona fide Mississippi paddle wheeler – is boarded at the marina located in the central part of town, whereas the MS Dixie departs from Zephyr Cove, a small township across the California border in Nevada. Both frequently set sail across the lake destined to Emerald Bay on an incredible sightseeing tour. Alternately, you can choose to ride aboard the vessel’s sunset dinner cruise for an intimate evening with that special person in your life, or you can make it an adventurous family event. 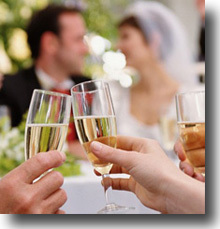 Recognized as a prominent destination wedding venue, Lake Tahoe offers another exciting adventure for you to partake in if you’re promised in marriage. 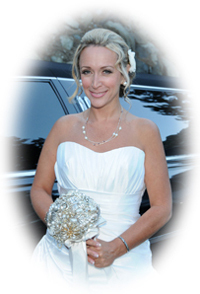 The wedding sites around the lake are stupendous, and with unbounded romantic activities available for newlyweds, you’ll find a Tahoe marriage to be an elating experience and a wonderful way to begin your new lives together. Whatever you decide to do, you can expect your Tahoe endeavor to be a thrilling and enjoyable exploit with no shortage of options. In fact, a weekend getaway may not allow you enough time to completely explore all the tourist attractions or participate in the abundance of activities this dazzling city has to offer. As a result, you may find yourself planning a return visit for further exploration and participation in the plethora of fun things to do in Lake Tahoe.